We at Sunrise Travels Shimla (HP tourism approved) provide complete travel solutions from eternity suggestions, airline / train bookings, taxi arrangements andhotel / resort bookings in Himachal Pradesh and nearby tourist destinations. Manali is a famous hill station in Himachal Pradesh located at an altitude of 1,950 at the northern end of Kullu valley. 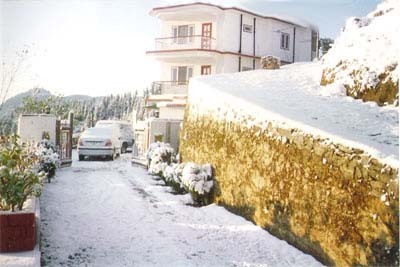 Manali is also known as the home of seven sages as it is a combination of natural splendor and rich cultural heritage. One can enjoy multi adventure activities and natural beauties in Manali. Pick up from Delhi Bus stand / railway station / Airport. Drive to Manali that is at a distance of 521 Kms from Delhi. During your journey the cab will pass through Panipat, Ambala, Chandigarh, Roopnagar, Bilaspur, Mandi, Kullu and finally after covering long distance move toward your beautiful hill station Manali. On the way enjoy beautiful Scenes of mountains from the windows of your cab after crossing Roopnagar. Next morning visit to the 450 years old Hadimba Devi Temple built in the quiet and peaceful woods. After enjoying the entire sights move toward famous Tibetan centre and monastery. See the handicraft works and literature of the people of Tibet that are preserved in those monasteries’. After exploring the history of Tibetans now proceed toward Club House, Vanvihar and Vashisht village, known for its hot Sulphur springs. In the evening you are free to roam on mall and idle time for shopping. Visit toward famous place Rohtang Pass located on Manali Keylong highway at an altitude of 4111 metres, where you can enjoy snow fall all twelve months of year. The majesty of the mountains and the glaciers can be seen at their best .After enjoying this snowy heaven, take a sledge ride down the slopes and try luck by climbing the little snow hills. On descending to Manali, halt at the Rahalla falls, Solang Valley, Marhi, Ralha falls and Nehru Kund and capture each moment in your long lasting memories. The magnificent views and natural beauty are never-ending source of delight. Visit to Manikaran that is at a distance of 85 Kms from Manali and most sacred place for Hindus and Sikhs. Manikaran is located in between the Parvati valley and the River Beas. Manikaran is well known for its hot thermal springs and believes to be loaded with therapeutic properties. Manikaran is situated at the northeast of Bhuntar in the Kullu District of Himachal Pradesh at an altitude of 1760 metre. Night stay will be in Kullu. Travel to Delhi from Manali that is at a distance of 521 Kms. The cab will Drop you at Delhi Bus stand / Railway station / Airport according to your preferred place.